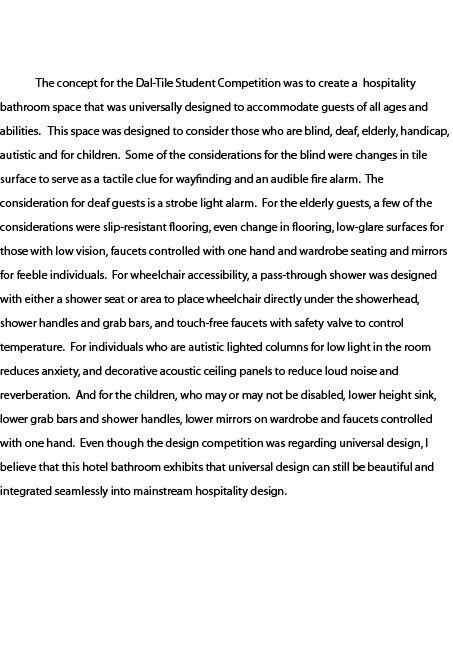 To create a universal design in a commercial setting. 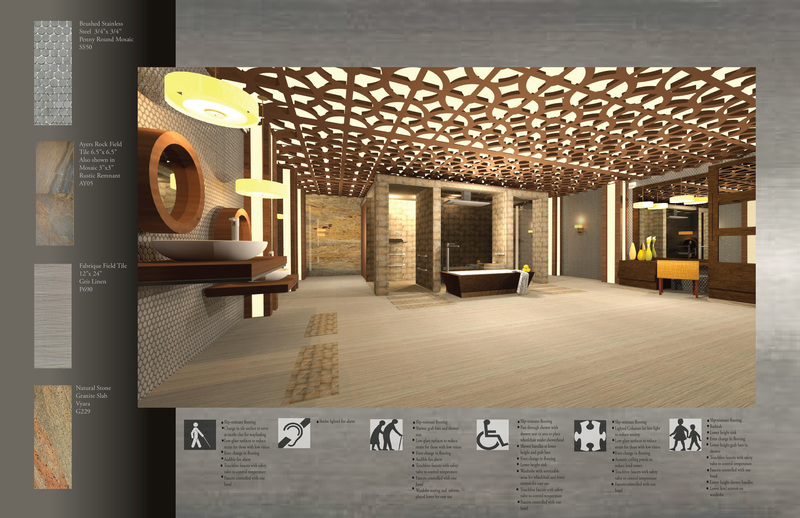 Awarded finalist in 2012 Dal Tile National Student Competition. Presentation Board for Dal-Tile Competition.